Who's excited about the new Holiday Catalog?! I sure hope you are, because there is no shortage of fun stuff in that baby! 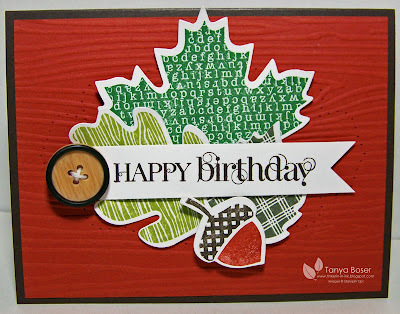 And the Stampin' Addicts crew is at it again to bring you some fun inspiration to go along with the fabulous goodies in the catalog that started August 1st and lasts thru January 2, 2013. If you started at the beginning of the hop, I am #14, the last hop, and you just got here from Heidi Bak's blog where she showed you some mouthwatering goodness with Perfectly Preserved. Love your stuff Heidi! If you are going backwards, because it is just more fun that way sometimes ;), then you may have arrived from Jennifer Timko's blog where she did made some frosty fun with Snowflake Soiree. 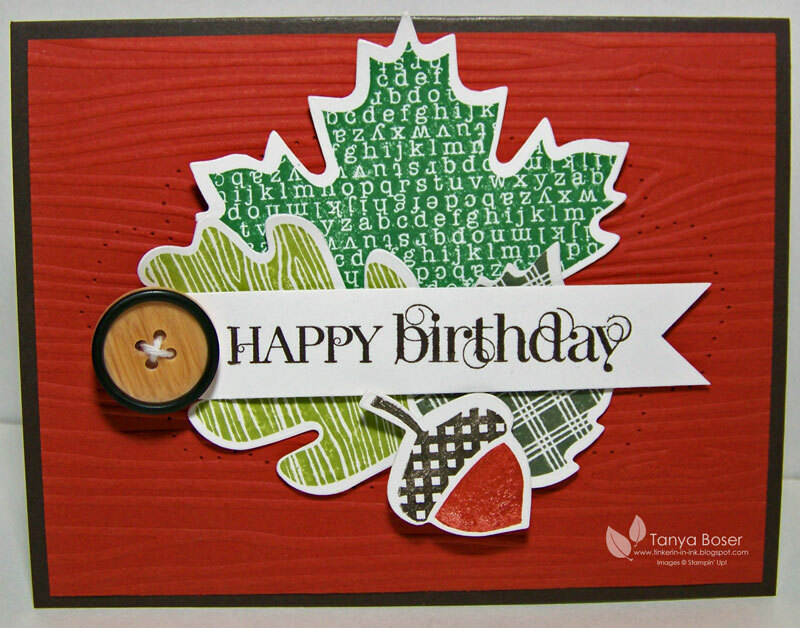 If you find yourself lost and just need to get reoriented, check out the Blog Hop thread over on Stampin' Addicts! I will be featuring Wonderfall and the coordinating die Autumn Accents. Real surprise right ;) I think my love of leaves is quite well know, lol! I had a great time playing with this set and I hope you find some inspiration here! My first project is a card, a little masculine, and a lot of fun. Can you make out the paper piercing on the background? and how about that Woodgrain embossing?! so perfect with this set! And to go with the card for a gift set, this little bag made with an 8½"x11" piece of cardstock! 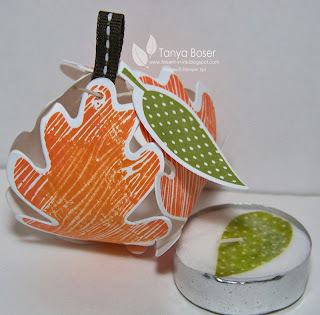 Found a tutorial here on Silvia's blog. Love it!! And I have been itching to do this button and twine method for WEEKS! 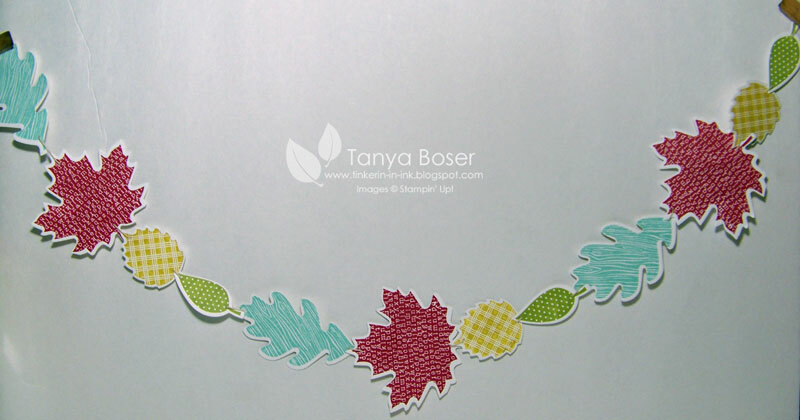 Next I made a garland in some fun nontraditional colors. I feel like I can display this any time, not just fall. 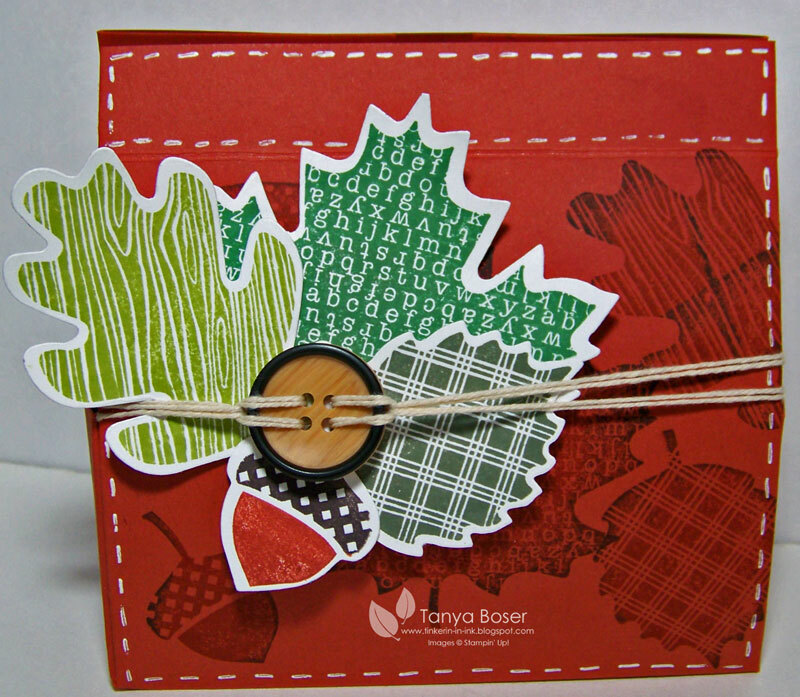 See, I am trying to find ways to use leaves more of the year already, lol! 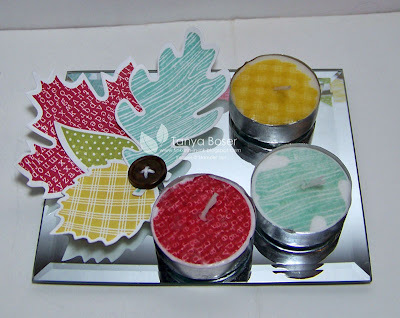 To go with the garland, how about a little candle grouping! The mirror candle holder has been in my crafting stash cabinet for a while and I am pretty sure I got it at the Dollar Tree, and they still have them according to their website. I love making these little tea lights! Now, this last project did not turn out as well as I had hoped. It is supposed to be a little leaf pumpkin made out of 4 oak leaves. It might look better as an apple... It was fun to play with the idea though!